3 for Intelligence: Death from the Skies!!! 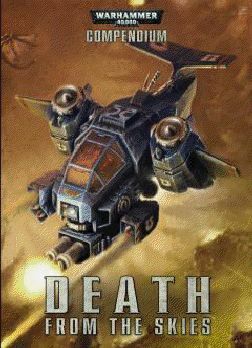 "Death from the Skies" (26€, mail order only, chance of being in English only). Night Scythe / doom scythe also dog fighting rules from crusade of fire and a new flyers scenario. It will also be interesting to see how "official" these rules are. This is the first non-WD addition to the rules in recent memory, so I am curious to see if they are adopted by the tournament circuit or not. And how confused people will become if they don't have this book or don't want to play with it's rules.